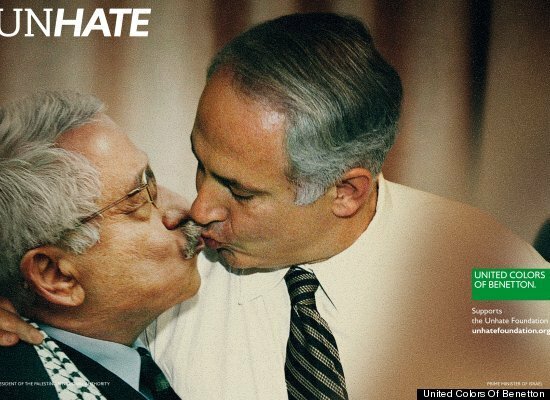 Unhate Campaign from Benetton which shows the world leaders kissing surely trigger a controversy, you can see the pictures of US president Barrack Obama Kiss President of Venezuela Hugo Chavez in the lips, not only that, there's about 6 Photo of Unhate campaign from Benetton including a kissing photo of pope kissing Egyptian Imam Ahmed Al tayeb in lips. Yes we know that the Italian based clothing company United Colors of Benetton was famous for their controversial ad campaign, Including an ad campaign which is showing a young nun kissing the priest. 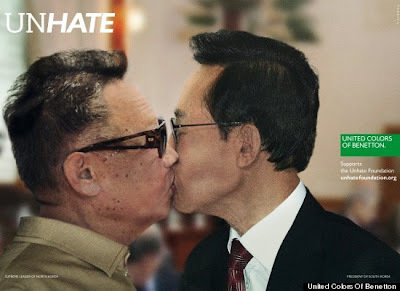 This Unhate campaign from Benetton was originally want to spread the message to promote a culture of tolerance and combat hatred around the world, all of this unhate ad campaign photo was digitally manipulated. this campaign was launched today in Paris, but the photo of pope kissing al tayeb might be hurting vatikan people. Vatican spokesman the Rev. Federico Lombardi called the digitally altered image an “unacceptable” and offensive manipulation of the pope’s likeness, according to the Associated Press. 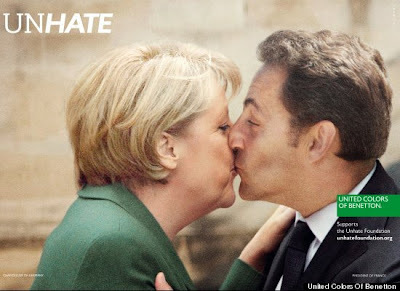 Benetton removed the image shortly thereafter and it is no longer on the website. Even the message of Unhate campaign was good but it will bring so many controversy due to the photo of World's leader kissing. 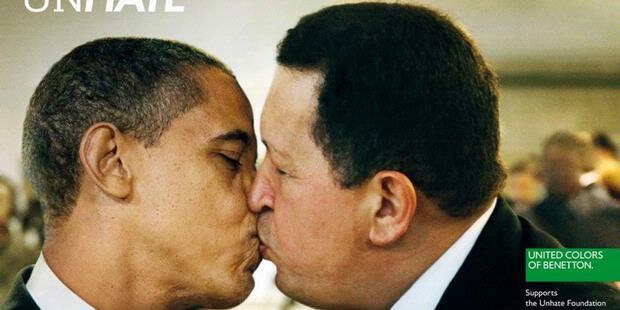 Below was the complete photo of Controversial Benetton Unhate Campaign Photo, Including President Barack Obama kissing his Venezuelan counterpart Hugo Chavez, Mahmoud Abbas embracing Benjamin Netanyahu, and Germany's Angela Merkel locking lips with Nicolas Sarkozy, Barrack Obama kisses Hu Jintao, and Kim Jong Il with Lee Myung Bak.